Patrick Kyle's latest comics foray into 21st century, North American psychic spaces has just been released by Toronto-based Koyama Press. Roaming Foliage, as the title hints, presents readers with a dreamy, topsy-turvey world with flora and fauna intermingling and on the move. The irony present throughout is that the dream is a sort of machine dream – but a machine that is a product of the organic, biomorphic characters that populate the dream space, which in turn may be (are?) products of their own creation, Rotodraw. But is Rotodraw a machine? a robot? a man-machine? or, perhaps, a metastasizing subroutine that is drawing its own world... It may ultimately be up to the reader to decide. 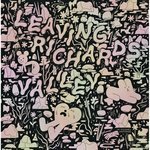 Regardless, one thing is for certain, and that is that Roaming Foliage is filled with page after page of Patrick Kyle's engaging and intriguing comics that will stimulate readers' neurocircuitry, leading to fresh perspectives on human being. 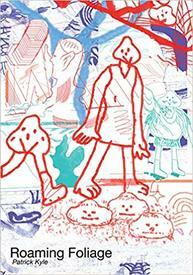 Koyama Press has posted a brief preview, HERE. Check it out!